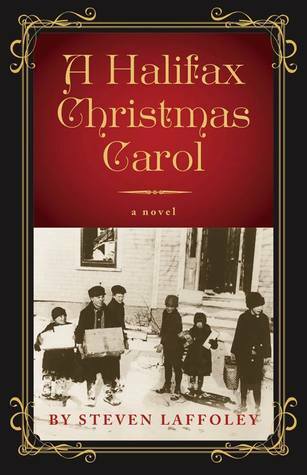 Before you start to think I’m completely obsessed with the Halifax Explosion, let me explain… When I first saw this book I thought it was going to be a twist on Dickens’s A Christmas Carol, set in Halifax. Which it is… but it’s not as close to A Christmas Carol as I was expecting it to be. It’s a story of faith and hope set in 1918 Halifax, and it’s saturated in stories about WWI and the Halifax Explosion. In other words, it’s even better than I was hoping it would be. And it’s inspired by a true story. Steven Laffoley was inspired to write this book when he read the story about the “little chap” with the big heart who, in December 1918, one month after the war ended and a year after the disaster of the Halifax Explosion, brought in a 25 cent piece to the office of the Halifax Herald for “some little kid at Christmas”. A Halifax Christmas Carol is framed by a narrator who sounds satisfyingly Dickensian (and in my head like Gonzo from The Muppet Christmas Carol). It has been said, and I believe it is true, that the greatest things in life come from the smallest beginnings. Certainly, this might be said of the great thing that once came from a very small beginning indeed, just five weeks after the end of The Great War, and four days before Christmas, in the winter of 1918, when the city was worn and weary, and the world seemed shrouded in the worst of the darkness. Our “Scrooge” is reporter Michael Bell, who works at the Halifax Herald. The doom and gloom attitude that surrounds him are the result of the war, the explosion, the poverty and darkness everywhere he looks, and is fueled by the “bad news” stories he reads and writes for the paper. (At this time the Spanish flu is also on the horizon.) When “Tiny Tim” comes to the office with his 25 cent piece for the kids, Michael’s boss see the opportunity to offer a little hope to Halifax in the form of a good news story, but Michael can’t imagine how a 25 cent piece will bring hope and light to the city. Weary soldiers and worn-out civilians returned to their lives only to find their lives were no longer there. Nevertheless, Michael is sent with his colleague Tess Archer to find this boy and to get a story by Christmas Eve. Their search for the boy takes us on a tour of 1918 Halifax, which Haligonians will love, as well as provides the reader with a variety of stories from the myriad of people they come into contact with. A priest who has lost faith, orphans who have lost their parents, women who have lost their husbands and children, and war veterans who have lost body parts. The most compelling character we meet is The Beggar who appears in several of his own chapters. This homeless and disfigured man moves through the city that before the war welcomed him and sheltered him. Now it is repulsed by him and is in the process of starving and freezing him. Despite The Beggar’s situation, he is still able to see beauty in things and find comfort in his memories and poetry. His character is in contrast to Michael’s; a man who was fortunate enough to make it through the war, visibly unscathed, still able to be a fully functioning member of society. And yet, he can find no beauty or comfort in his life. I think you all know where the story is going. It’s (very) loosely based on Dickens’s A Christmas Carol, after all; a tale that we have all come to know and love as a caution against shutting out the world and a re-awakening of joy and spirit. And, like A Christmas Carol, this is a book that could be read and enjoyed every year – a twist on an old favourite set closer to home. The setting of Laffoley’s version is not the only difference… his version doesn’t rely on ghosts of the past, present, and future to change the heart of the protagonist, but on stories. Michael is so caught up in facts that truth passes him by. Through story, the boy helps him to see what his mother has been trying to tell him in his dreams, resulting in a satisfying ending and a perfect last line. 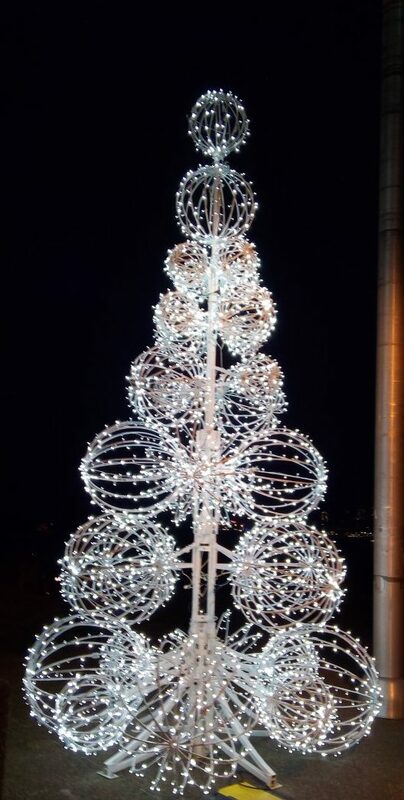 Oh my, Naomi, this sounds wonderful – and I try to stay away from all things Christmas. I’ve read only nonfiction about the explosion, but I did read Bruneau’s article in ABT and do think that I need to introduce some fiction on the subject. This sounds like it should be on the list! I don’t tend to read Christmas related books, either, but this one has my approval! Wasn’t that a good article? This is what used to be called in the trade a twofa, and probaly is still! This sounds like a book that was custom made for you! This really was perfect timing – Christmas and the HE all rolled into one! That’s funny that you heard the vice of a Muppet 😊 Did you ever watch the version of A Christmas Carol that is CGI with the voice of Jim Carrey? It’s really good. I don’t think so… I’ll look for it! Haha, I think it’s funny that you accidentally picked up another book on a topic you like to read about 🙂 I’m glad you ended up enjoying it! I love reading Christmas books and wish my library had this one! I’d love to find some Christmasy Canadian books. I have a hard time finding good ones – Canadian or otherwise – so if you come across any good ones, let me know! It sounds like a heart-warming story after such colossal sad events around 1918, though the war was over. fyi — I just finished & reviewed David Chariandy’s novel Brother — wow what a gem of a book! Likely one of my favorites of 2017. That author can write. Oh, hooray! I’m really behind on blog-hopping right now, so thanks for letting me know… I’m off to see it! Sounds like a perfect book for the season! And, like A Life in Books said, definitely a twofa! I loved it… it was such a treat for me! I’ve seen many re-dos of the classic Christmas story and I’ll admit to having never heard of this series. However, this sounds like the story loosely based it on the classic and changed things around to fit the characters, something I can greatly appreciate. What a lovely combination: it sounds like a book written especially for you! I like the quote with the worn and weary bit – it sounds like slightly-updated Dickens, lovely and rich sounding without all the extra words. I’ve really enjoyed following along with your Explosion Reading and I am eager to see what else you read on the subject. I loved that he made his narrator sound Dickens-like. And, even though it’s not as close to the story as I was guessing it would be, there are strong parallels. Dickens fans would probably be able to see more than I did. Reblogged this on YOURS IN STORYTELLING….